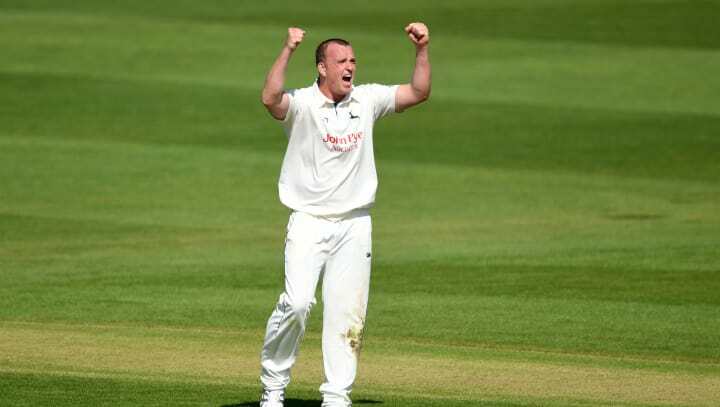 Luke Fletcher has become the 44th man in Nottinghamshire’s history to take 300 first-class wickets for the county. The 30-year-old brought up the landmark in his 100th first-class game for the Green and Golds when he dismissed James Hildreth for 10 in the recent Specsavers County Championship game against Somerset. The right-armer has taken more wickets for his home county than any other seamer currently on the roster. Now on 302 wickets for Notts, he sits just behind Samit Patel in the list of Notts’ all-time highest wicket-takers, and has Peter Harvey, Francis Woodhead and Andre Adams’ tallies next in his sights. Fletcher has been part of the fabric of the Nottinghamshire cricket scene for over a decade, having appeared in the Nottinghamshire Premier League and for Notts’ second XI before making his first-team debut in 2008. He has been a consistent wicket-taker throughout his career, twice reaching the 40-wicket mark in a season and achieving four five-wicket hauls.